Well I couldnt find anywhere to post this so i will do it here. I was cleaning out my den and I found a NOS block-6 pistons-pwr head and lower unit gasket-seal kits, a nos starter and many other small carb and brg. 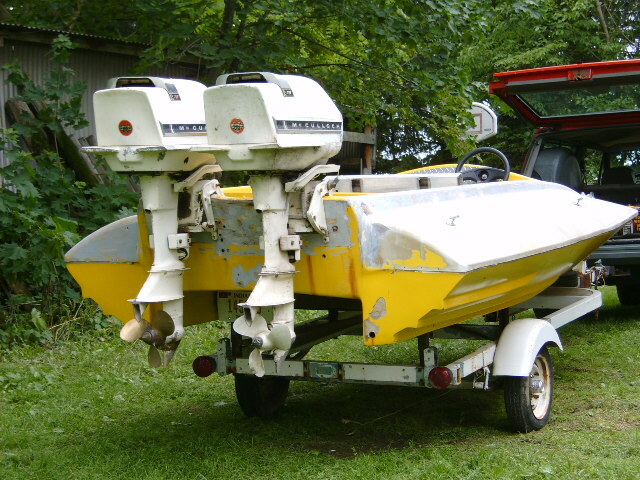 parts still in the bags for 63-69 McCulloch.sears.wizard.hiawatha 75.2hp outboards, even a set of 3 .030 oversize pistons with rings. does anyone run this engine? Not that I want to get rid of any but If you need somthing let me know. I have lots of some and little of others.....lol. 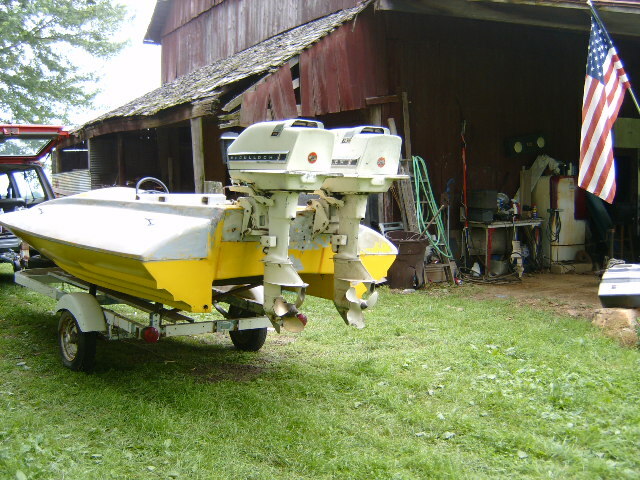 Ive seen pics of your boat somewhere before. Love the sound of twin Scotts! I had a thought this weekend........I do love the sound of twins.. I wish I wouldnt look for these motors...Ya I found a 2 for 1 sale In Flushing MI. One is the cleanest Mc I have ever found and the other is missing the foot but its all there other wize. I told ya we were twin sons of different mothers LOL. Guess what I am building. Have a look. Twins on my Hydro. Now here is the real news for ya. I was at a guys house last weekend and he used to race Scotts and McCullochs. He had a bunch of parts in a box and a couple of powerheads he said. Well they followed me home but have a look at the one powerhead, Oh ya side port exhaust. Plus he said you will probily want this gear foot too. I about tipped over when he showed me a MINT McCulloch full gear shift speedmaster. I will be going back for that one it was a bit pricy but worth every penny. 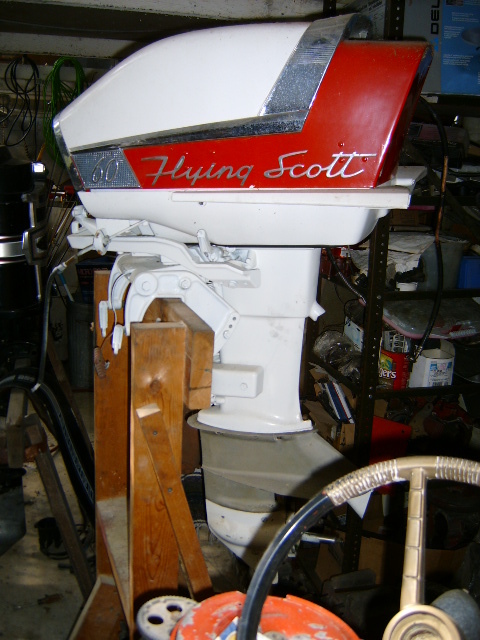 Next project motor will be a McCulloch 630 as soon as I finish my Mark 75H. I have a pair of 59 Elgins 40hp and could use 2 coils. If i remember right they were bilt by McCulloch. Can't get at the motor to take a pic of the coils but the are the dubble type with ignition coil and charge coil on them. If that helps. What a find. What you have found is probily the only video of twin supercharged McCullochs known to exist. In 62 Bob McCulloch had been working on a turbo charged motor from what I have learned but it didn't produce the power he wanted so he made a supercharged engine and it was produced for racing but never was raced as far as i know. I talked with my buddy in Fox Lake IL about the superchared motors as he is building one. They made a lot of power from what he said but could not stand the rpms. The 630s that were produced for racing where the ones that set records and held together. As for the odd look of these motors in the video, the water coming out the back was coming out of the innercooler but you can clearly hear the superchargers in the video. Also the story line is correct too. 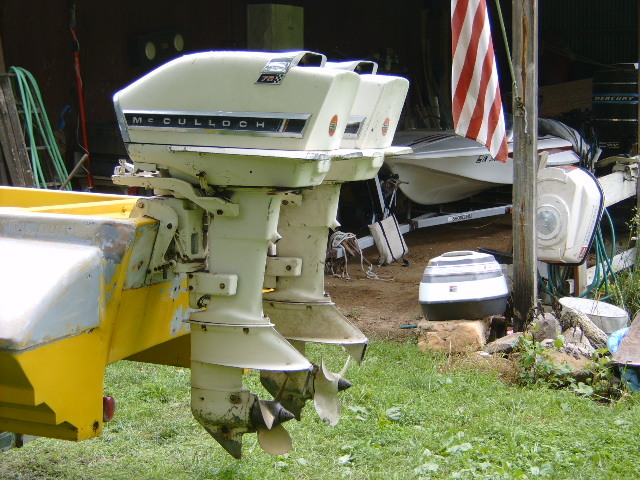 Bob McCulloch had it in his head that this would revolutionize the marine market. VERY cool stuff. I have to make a addition to the and a correction too. 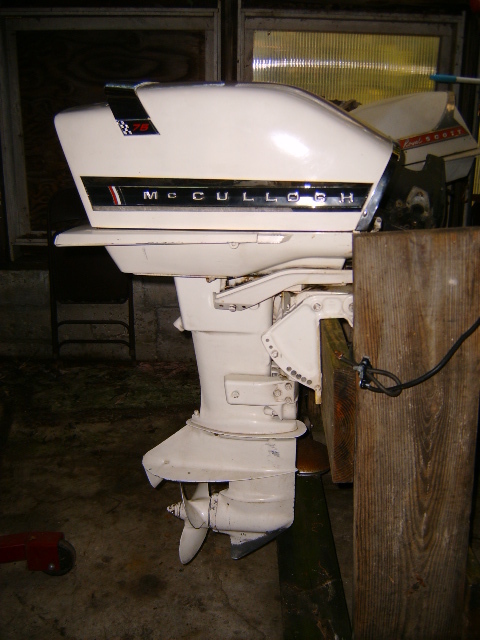 I got on the phone this morning with a known historian on McCulloch and he said that what was to revolutionize the marine market was McCullochs rotary engine. Also that McCulloch owned Paxton turbocharger too. 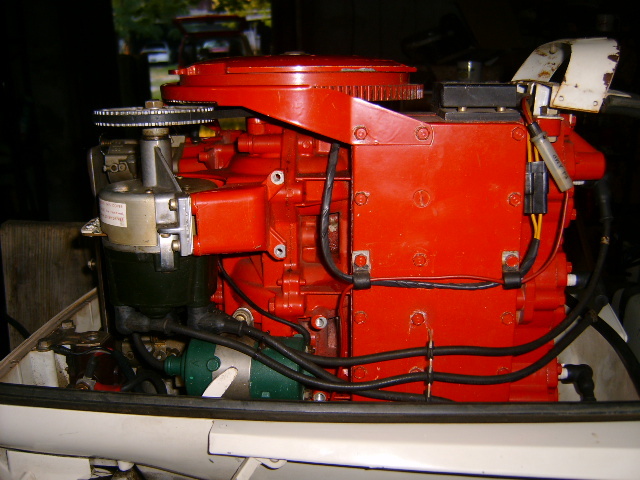 So what is probily shown in the video is the Turbocharged 45hp 2cylinder motors. I have sent the video to him to have a look see and tell me what this really is. He said that as far as he knew NO supercharged engines were never produced. 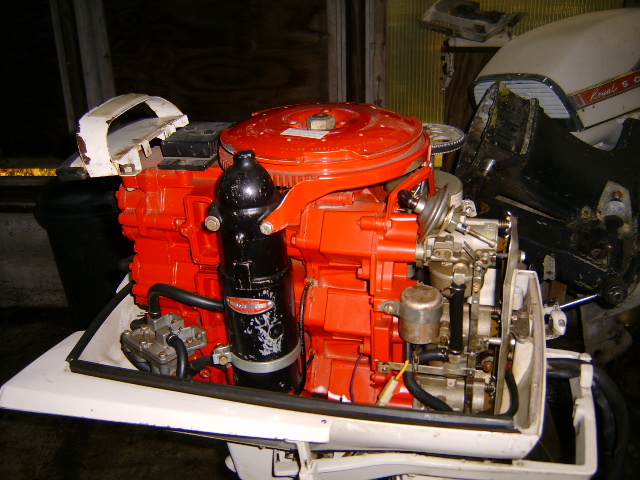 I have seen pictures of a supercharged 3 cylinder in the past some place and will post them if I can find them again. I will update this when he gets back to me. At 9:45 I think the last boat on the right has a pair of pre-630 race motors (this was 1962 and they did not yet have the 630 designation). 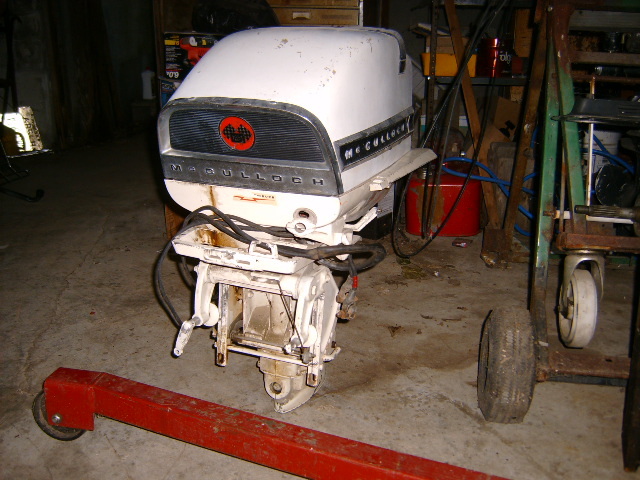 The radial (not rotary) motor was actually developed by the advanced engineering group in 1958-59 and shown at the 1959 and 60 boat shows. 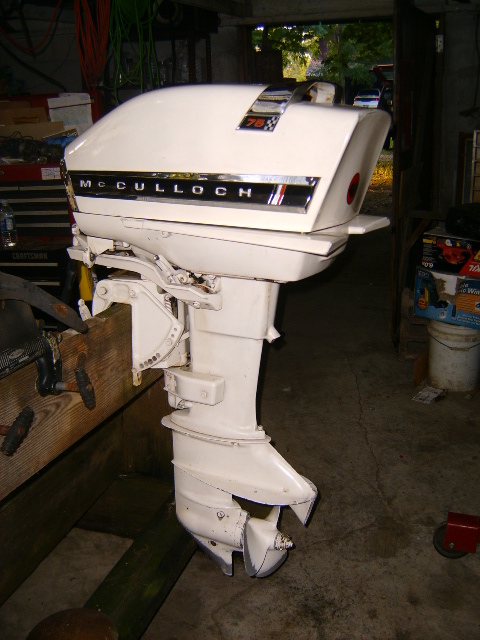 McCulloch Advanced Engineering was not directly affiliated with Scott McCulloch Outboards. They later converted the motor to diesel and tried to sell it as an aircraft engine, but no airframe maker wanted to take a chance on it, so it died. The motors on Route 66 are just props for TV.